Because you demanded it! 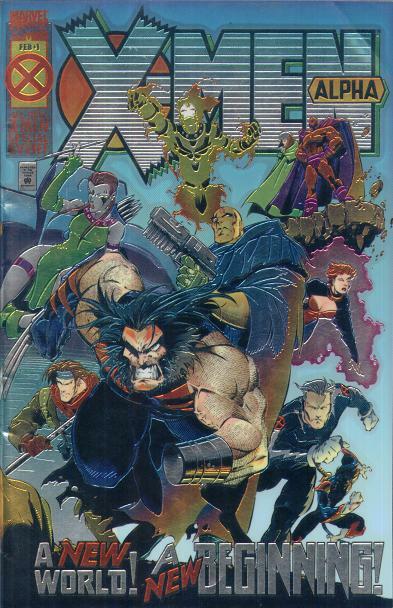 People have long asked us to do an episode delving into the classic X-Men storyline, The Age of Apocalypse, and we at the showcase aim to please! This week, Blake and Chase talk about the overall storyline, our favorites of the individual issues, and which elements from the Age of Apocalypse managed to transcend “alternate reality” status and become part of the regular X-Men lore. In the picks, Blake loved the first issue of Ender’s Game: Command School, while Chase gives us the graphic novel pick, Saga of the Swamp Thing Book One. This entry was posted in Showcase Podcast and tagged Age of Apocalypse, Cable, Ender's Game, Excalibur, Generation X, Swamp Thing, Wolverine, X-Factor, X-Force, X-Man, X-Men. Bookmark the permalink.